September 2014 – A project by David Leonard, Benedikt Groß	and me. I had the pleasure to work with David Leonard. 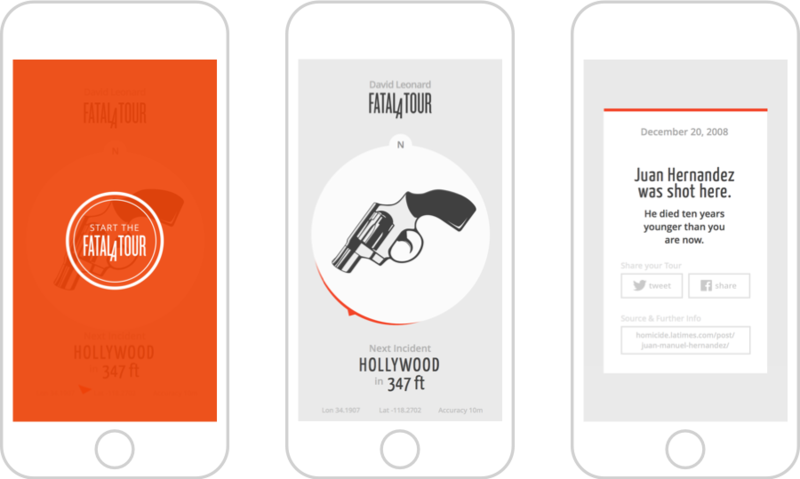 I developed a web application for the Fatalatour with lots of help and guidance by the amazing Benedikt Groß. I developed a repsonsive web application for the Fatalatour from scratch, integrating its current design. Once you start the application it tells you direction, distance and type of the closest incident – An enhanced compass pointing to incidents. By not using maps, the focues is set on discovering instead of pure navigating.